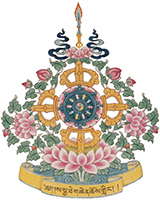 Sakya Monastery of Tibetan Buddhism has compiled a Speakers Bureau to educate groups and organizations about Tibetan Buddhism and Tibetan culture. Any organization or group wishing to have a speaker should contact Adrienne Chan at Sakya Monastery to discuss the best speaker, the lecture topic and speaking logistics in advance. An honorarium of is recommended. H. E. Dagmo Kusho Sakya, known by her friends as Dagmola, was born in eastern Tibet. She is married to H. H. Jigdal Dagchen Sakya (Dagchen Rinpoche), Head Lama of Sakya Monastery of Tibetan Buddhism (www.sakya.org) in Seattle who holds a position third only to His Holiness the Dalai Lama in rank.. In 1959, Dagmola and Dagchen Rinpoche were forced to flee to India and in 1960 they moved to Seattle. Dagmola is one of the few women Tibetan Buddhist Lamas in the world. 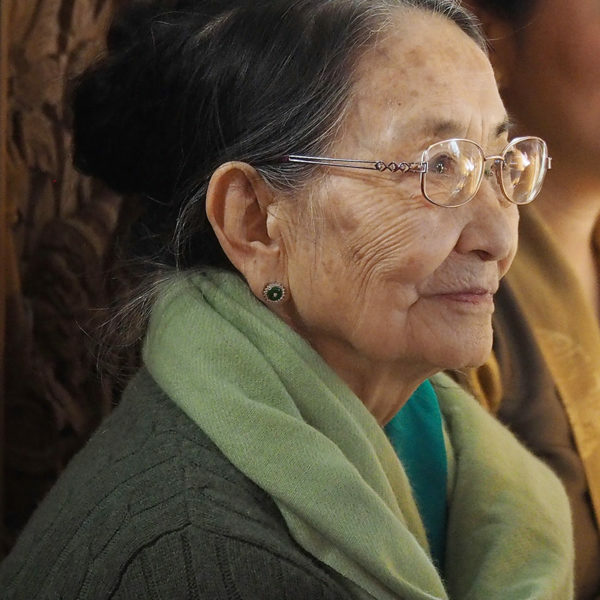 Co-author of the book, Princess in the Land of Snows (http://tinyurl.com/2by4243), Dagmola regularly bestows empowerments and teaches at Sakya Monastery. She has founded the Mother Tara Center/Tara Ling in San Gabriel, California and established centers in Kona, Hawaii; Flagstaff, Arizona; and Mexico City. Ven. Khenpo Jampa Tenphel comes to Sakya Monastery from Dzongsar Institute in India, where he was the library director as well as a tutor for many years. He received a Degree of Acharya (equivalent to an M.A.) in Buddhist Philosophy in 2002 and was ordained as an Abbott in 2004. He has received many teachings and initiations from all four sects of Tibetan Buddhism (Sakya, Gelug, Kagyu, Nyingma). Many of those teachings and initiations were from H.H. the Dalai Lama and H.H. Sakya Trizin. He has also received the Lamdre teaching from H.H. Dagchen Rinpoche. His root lamas are H.H. Sakya Trizin, H.H. Luding Khen Rinpoche, and H.H. Dagchen Rinpoche. At Sakya Monastery, Khenpo Jampa teaches intermediate and advanced level curriculum on Buddhist philosophy and also serve as the librarian for the growing collection of Tibetan Buddhist scriptures. 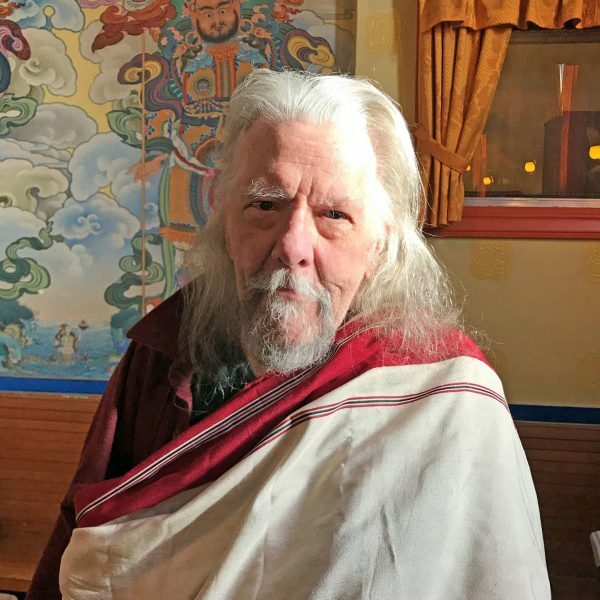 Chuck Pettis is Co-executive Director of Sakya Monastery of Tibetan Buddhism. Chuck assists in the operations and administration of Sakya Monastery as well as teaching calm-abiding and other Vajrayana meditations. 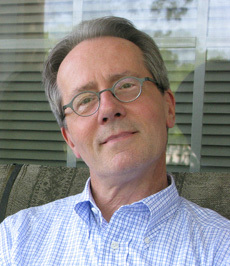 Chuck Pettis, author of TechnoBrands, is President of BrandSolutions, Inc. (www.brand-solutions.com), a leading brand-based advertising agency located near Seattle. Chuck is also founder of Earth Sanctuary (www.earthsanctuary.org), a nature reserve and retreat center on Whidbey Island, near Seattle. Earth Sanctuary is home to the Tara Meditation Center, Sakya Monastery’s retreat center. Author of Secrets of Sacred Space, Chuck has built a sculpture garden of sacred spaces at Earth Sanctuary, including the world’s tallest stone circle, a labyrinth, medicine wheel and other megalithic monuments. Chuck Pettis has a BA in psychology from Carnegie-Mellon University and an MS in design from Southern Illinois University. Calm Your Mind in 60 Seconds: Learn eleven 60-second meditations you can use to relax anywhere! 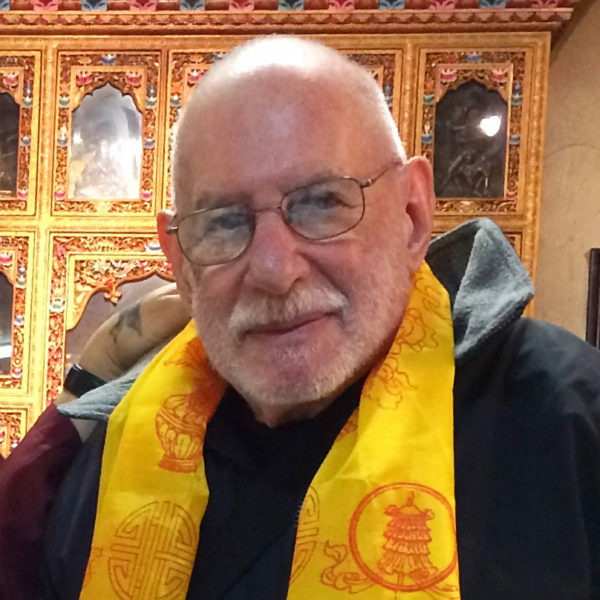 Murray Gordon has previously served Sakya Monastery as the director of Virupa Educational Institute, its educational branch. 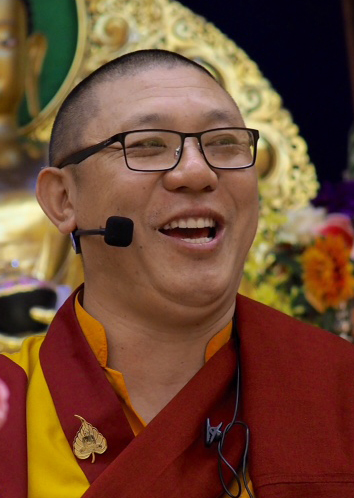 Currently he continues to teach for VEI, coordinates the Sunday Chenrezi Omzes, darshan tour guides, and translators, as well as lead monastery tours, and speak to outside organization. He was a student of H.H. Jigdal Dagchen Dorje Chang beginning in 1986. Murray is also a published poet and spoken word performer. 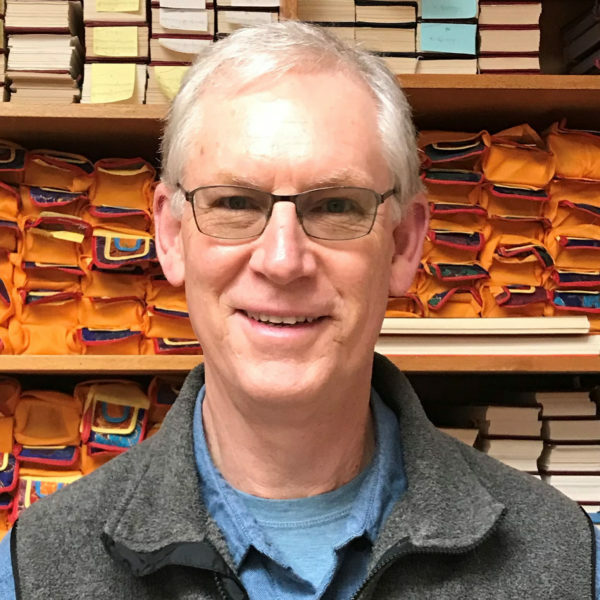 Ken Hockett is one of the senior Dharma students at Sakya Monastery. After much reading and study, he took refuge vows before H.H. Jigdal Dagchen Sakya Rinpoche in 1977 and has studied with Dagchen Rinpoche for nearly forty years. 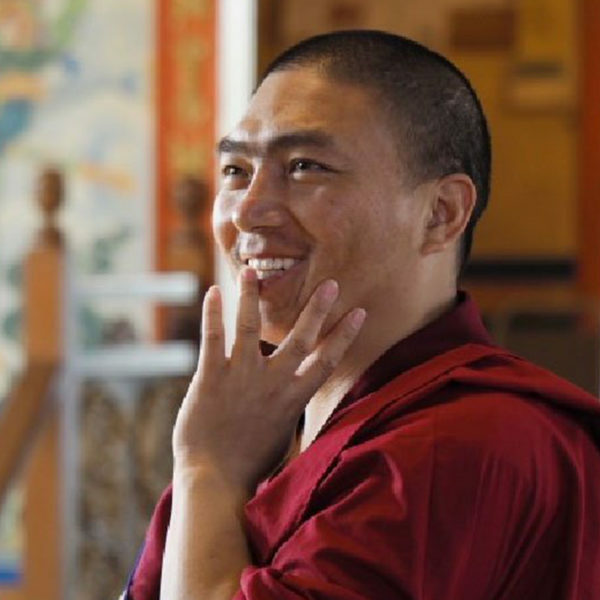 His principal interest is the Bodhisattva Path and the associated Mind Training methods and has been teaching these at Sakya Monastery for over 15 years. Having received teachings and initiations from Lamas of all four schools of Tibetan Buddhism, his main teachers are of the Sakya and Nyingma traditions. He studies both Mahayana and Vajrayana philosophy and practice. He has also produced many of the practice texts used at Sakya Monastery.